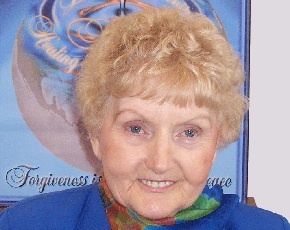 J. Jane Consulting | eva mozes kor. 02 Jan eva mozes kor. terre haute, indiana. | a forgiveness advocate with a never, never, ever give up attitude. As a survivor of the Holocaust, Eva Mozes Kor is a champion of human rights, an educator, and founder of CANDLES, Children of Auschwitz Nazi Deadly Lab Experiments Survivors. But most notably, Ms. Kors is a forgiveness advocate. I am honored beyond words to highlight this woman’s courage and leadership. As a Holocaust Survivor, you were witness to and endured unimaginable human suffering. How did you bring forgiveness to an unforgivable situation? Forgiveness … I stumbled on it. Forgiveness is to help the victims not the perpetrator, and every victim deserves to be free from any and all pain imposed on them by others, life, or destiny. I want all victims to know that they have the power to heal, liberate, and empower themselves by forgiving the perpetrators. It’s free, it works, and it has no side effects, try it… all you can lose is your pain. To hear more about forgiveness, listen to Eva Chats. You have the right idea not to ever give up on yourself or on your dreams, and when you do that, also remember that there is always hope after despair, and there is always a tomorrow after disaster, and if you don’t give up on yourself and your dreams, you can accomplish any thing you set your mind to. Be always honest with yourself and with others because ultimately you can’t runaway from yourself. Those who try, end up addicted to drugs or alcohol, or even mental institutions. Don’t try to be some body else because you can’t. But be the best you that you can be, and do try to be the best that you can be. You will be happy. Whether a personal quest or historical experience, visiting Auschwitz with Eva would be a moving experience. Learn more about Ms. Kor’s incredible story by visiting her website at CANDLES. And while we would like to think that the world will never see another Holocaust, it would be foolish not to recognize that history sadly often repeats itself. It is imperative to support organizations that focus on the education of genocide. Learn how you can support Eva and CANDLES. Also, you can support Eva and her forgiveness mission on Facebook. I love that despite what you experienced, you promote forgiveness. As the daughter of a Holocaust survivor, I find that inspirational. Thank you.